Carl Sprague designs the look behind the drama. For Molière’s The Misanthrope at Berkshire Theatre Festival in Stockbridge, Massachusetts, Sprague’s sketch (shown) became a model later built as the play’s set. 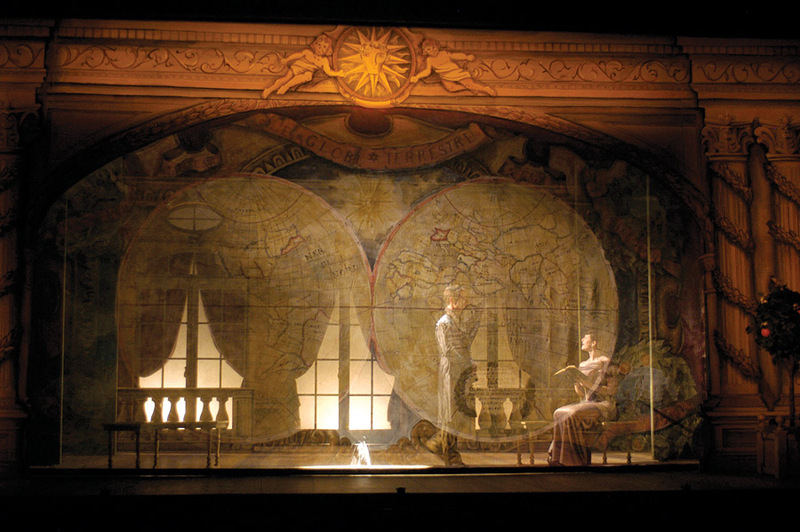 For Molière’s The Misanthrope at Berkshire Theatre Festival in Stockbridge, Massachusetts, Sprague’s sketch became a model (shown) later built as the play’s set. 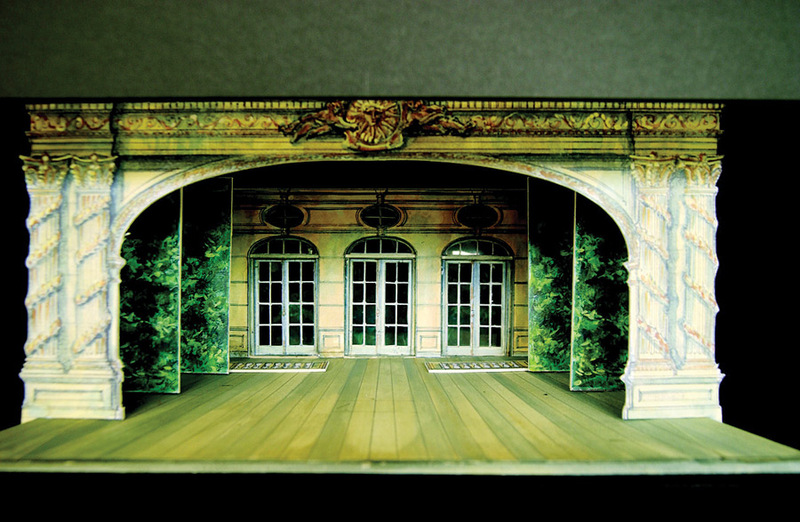 For Molière’s The Misanthrope at Berkshire Theatre Festival in Stockbridge, Massachusetts, Sprague’s sketch became a model later built as the play’s set (shown). 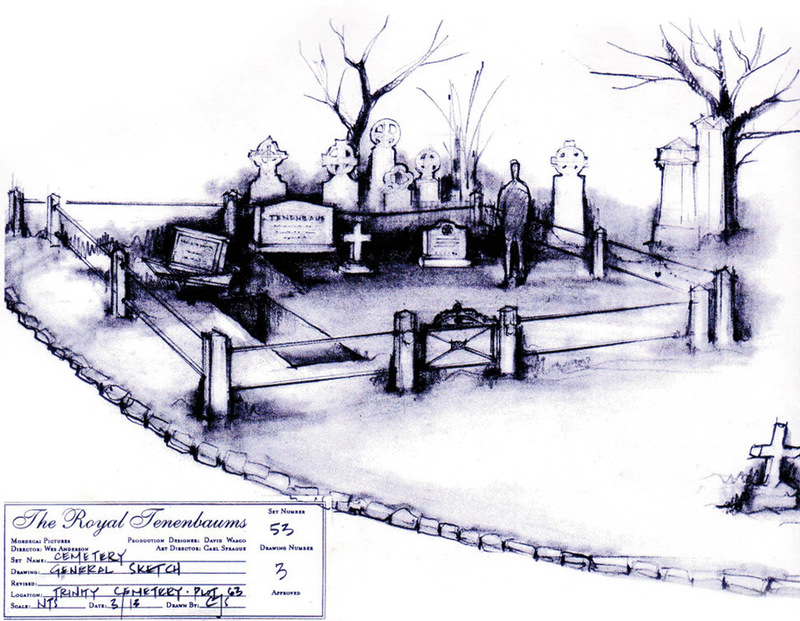 For the 2001 film The Royal Tenenbaums, Sprague sketched a graveyard that director Wes Anderson used in the movie. 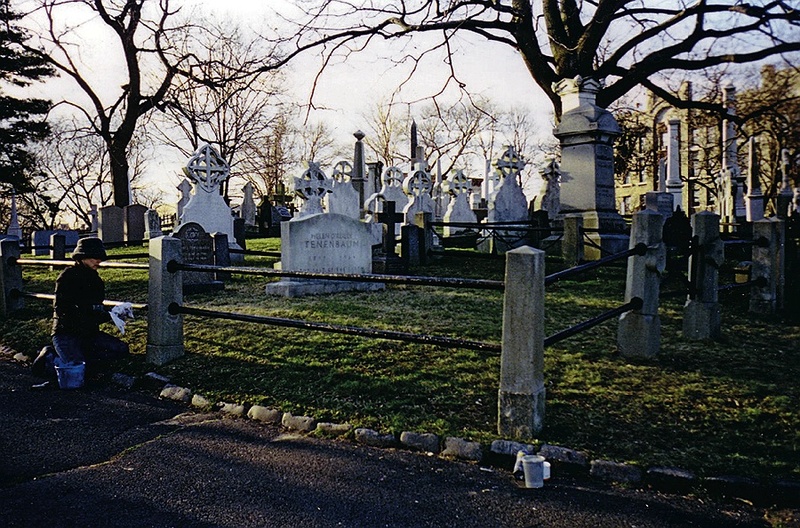 For the 2001 film The Royal Tenenbaums, Sprague sketched a graveyard that director Wes Anderson used in the movie (shown here, with Sprague at work, lower left). For the Berkshire Theatre Festival’s production of Mrs. Warren’s Profession, by George Bernard Shaw, Sprague’s sketch became an engaging set. 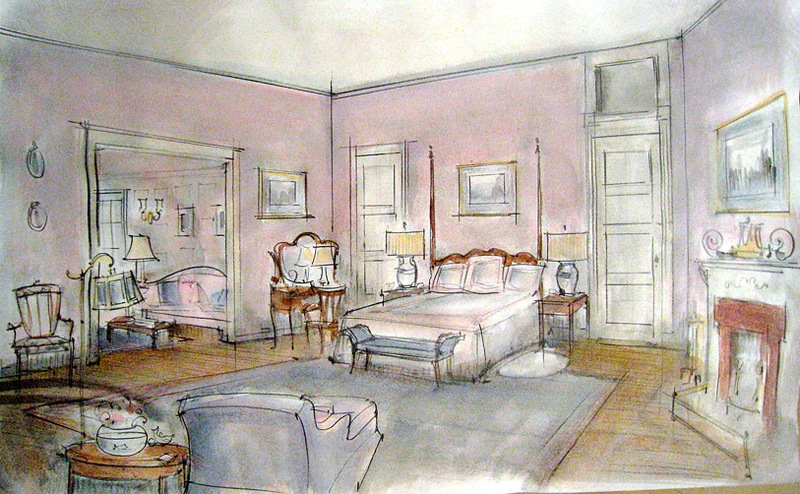 Sprague’s sketch for a bedroom set was realized in the film The Last Harbor, scheduled for release this year. Carl Sprague ’84 did plenty of theater at Harvard, though he didn’t act much (“I’m a terrible actor—very wooden,” he says). Instead, he directed shows in the Houses, at the Loeb Ex, and even a production of Euripides’ The Bacchae in Harvard Stadium. “I had a hard time finding designers for the shows,” he recalls, “and a couple of people bailed out on me, which meant I had to build it myself. It turned out that was the part of directing I enjoyed the most.” Twenty-five years later, he has become a highly respected designer and art director for both theater and feature films (see www.carlsprague.com ); his credits include Martin Scorsese’s The Age of Innocence (1993), Steven Spielberg’s Amistad (1997), David Mamet’s State and Main (2001), and Wes Anderson’s The Royal Tenenbaums (2001). He also worked on several films scheduled for 2010 release, among them The Company Men (with Tommy Lee Jones ’69), and Salt (with Angelina Jolie). Sprague enjoys both generating and executing visual ideas (“There are things you figure out with your pencil instead of your head”), though if he had to choose, he would come up with ideas and delegate the drafting. “I’m only an artist by necessity,” he says. “I never fancied myself a painter or someone who did drawings. I’ve worked with brilliant draftsmen who don’t even aspire to say anything with their work, and with people who had no graphic ability, but brilliant ideas.” Sprague notes that some film directors are skilled visual artists themselves; Wes Anderson, for example, brought his own Tenenbaums drawings to the art department, which set out to detail and build his visions. For a theatrical show at the Berkshire Theatre Festival (near his home in Stockbridge, Massachusetts), Sprague might make five or six pages of construction drawings, but a movie can require 10 to 50 times that many. In Hollywood, there are more job titles—art director, set designer, model builder—each with specialized skills and its own labor unions. On a feature film, the top position—“the title to aspire to,” says Sprague—is “production designer,” a designation first granted to William Cameron Menzies on Gone with the Wind (1939), for which he sketched all aspects of the movie, including costumes, and conceived the overall “look” of the production. Sprague has been production designer for a half-dozen films. Movies can sometimes “spend $100 million without having thought through an approach, or really even having a concept for the project,” he says. Yet, some Hollywood designers can build great sets “just by waving their hands around and talking on a cell phone,” he notes. “People achieve amazing results doing just that. “In theater, you have to have some idea to work at all,” Sprague continues. 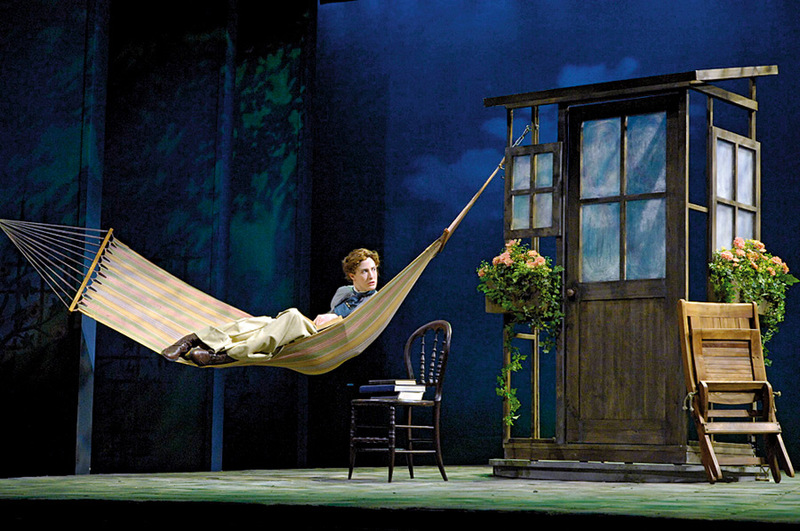 “I wouldn’t spend $500 in theater without some kind of metaphor, or vision, or idea of what it means.” For A Christmas Carol at the Berkshire Theatre Festival, mounted on a “vest-pocket stage,” Sprague made the whole set revolve around Scrooge’s bed (with the four-poster’s curtains forming another stage within the stage), at once solving a practical problem and making a conceptual statement about the piece. 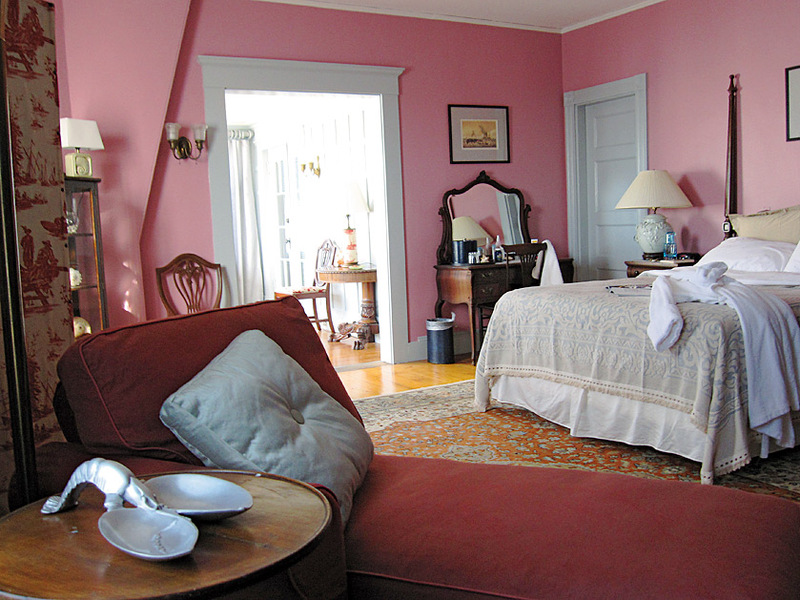 In general, he says, design work on the East Coast is more theatrically based; in the Berkshires, his own work at the Berkshire Theatre Festival has ranged from The Misanthrope to American Buffalo, Night of the Iguana, and Glass Menagerie. “The opportunities for doing theater locally can be pretty exciting,” he says.